Our Financial Services Litigation and Compliance Team offers the full spectrum of legal services to to banks, bank holding companies, mortgage servicers, lenders, and other consumer finance companies. Wendell Allen’s practice is focused on litigation, defense of enforcement actions, and regulatory compliance services with a concentration in the representation of financial institutions in matters involving government enforcement actions, regulatory compliance disputes, and real property controversies in state and federal courts across the country. As a litigator, Wendell routinely represents banks, mortgage servicers and other financial institutions in claims involving alleged violations of RESPA, TILA, FDCFA, FCRA, and a variety of common law, tort claims. Stewart Cox handles a wide range of complex litigation matters for business clients from different industry sectors. Stewart has tried cases before state and federal court juries involving mortgage fees, commercial leases, product manufacturing, bank deposits, software licensing, a railway accident and industrial equipment. Throughout his career, Stewart has handled hundreds of cases for numerous financial institutions involving deposit accounts, consumer finance contracts, commercial loans, letters of credit, fidelity issues, investment fraud and insurance coverage, among other subjects. Christy Hancock’s practice focuses primarily on financial services litigation and regulatory compliance. She defends mortgage investors, including Government Sponsored Enterprises, and servicers in a variety of matters, including TILA, RESPA, RICO and FCRA disputes, predatory lending claims, mortgage-related fees and servicing issues, escrow account disputes, unfair and deceptive trade practices claims, and wrongful foreclosure claims. Dana Lumsden practice focuses on business litigation, including intellectual property disputes, securities litigation, investigations and enforcement proceedings and the resolution of regulatory controversies concerning consumer financial services. His recent matters include the defense of financial services companies in consumer class action matters, the resolution of multi-jurisdictional mortgage servicing disputes, as well as serving as lead counsel in response to investigations of the mortgage servicing industry brought by the New York Department of Financial Services. Dana is also the Managing Partner of Bradley’s Charlotte office. Doug Minor’s practice includes the defense of several large financial services and insurance companies throughout the southeastern United States. He is actively involved in all aspects of mortgage –related and lender liability litigation, including the defense of a nationwide TILA class action, a multi-million dollar mortgage repurchase claim and individual suits brought under the Truth in Lending Act, the Fair Debt Collection Practices Act, the Fair Credit Reporting Act and the Real Estate Settlement Practices Act. Andy Noble represents clients in a wide range of civil litigation, including both individual suits and putative class actions. A substantial portion of his practice has focused on consumer finance and related consumer fraud and deceptive trade practices litigation and litigation involving trusts. He has also represented clients in cases relating to state tax law and construction contracts, both domestic and international. Brian O’Dell’s practice focuses on financial services litigation and regulatory compliance, with an emphasis in residential mortgages. Brian earned his Accredited Mortgage Professional designation through the Mortgage Bankers Association (MBA), and is one of a small number of lawyers who have achieved this status. Brian is a regular instructor for the MBA at the Schools of Mortgage Banking I and II, teaching Regulatory Compliance, Laws Affecting the Mortgagee’s Interest in Property, and Ethics in the Financial Services Industry. Larry Vinson regularly counsels financial institutions of all sizes on new CFPB regulations, bank regulatory and product questions, and all aspects of state and federal consumer credit compliance. On questions relating to the Uniform Commercial Code, he is a resource for the firm’s clients and for other lawyers both inside and outside the firm. He is a member of the firm’s Banking and Financial Services Practice Group. Jennifer Galloway’s practice is dedicated to helping financial services clients successfully navigate increasingly complex regulatory and business environments. She focuses on consumer financial services laws and regulations affecting banks, non-depository banks and other financial institutions. Her compliance work includes assisting clients with developing, implementing and maintaining compliance management systems, performing internal compliance audits for clients, preparing clients for outside audits as well as preparing related lending documents and disclosures. Meade Hartfield has represented clients nationwide in a variety of industries, including financial services, drug and medical device, automotive, aviation, industrial equipment, insurance, and environmental. Her financial services practice includes representing financial institutions and mortgage companies in defensive litigation matters throughout the country. Jackson Hill is a litigator representing clients in the construction and financial services industries. He represents owners, general contractors and subcontractors in his construction and government contracts practice. His financial services practice focuses on representing financial institutions and mortgage servicing companies. 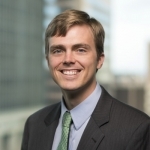 Riley Key works with financial services clients across the country facing regulatory and enforcement challenges related to obligations imposed by the CFPB, as well as various other federal and state laws. Specifically, Riley helps clients navigate compliance with the Mortgage Servicing Final Rules in Regulations X and Z and the TILA-RESPA Integrated Disclosure Rule, as well as a host of federal and state regulations, including TILA, RESPA, FDCPA, FCRA, and ECOA. View articles by Riley.